BK’s Takeaway is a retail food outlet specialising in hot and tasty ready-to-go food and also offering a variety of dine-in options. BK’s Takeaway is all about traditional Australian fare – from hamburgers, potato cakes, and fish and chips, to humble sandwiches, coffee, and lots more. We’re also the home of the famous Brendan Burger – the BIGGEST burger in Gippsland, and also voted one of regional Victoria’s top 5 burgers*! Why become a BK’s Takeaway Franchisee? 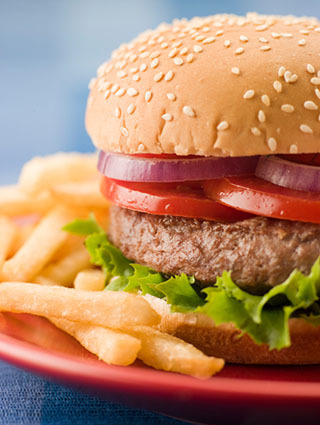 The BK’s Takeaway franchising system is based on over 20 years experience in the food and beverage industry. This means we have the right systems and processes in place to enable franchisees to build highly profitable businesses. Studies have shown that a franchise is more likely to stay in business than a non-franchised business. That’s because the brand and a proven system are the cornerstones to help a franchisee business stay operational much longer than individually owned businesses. Becoming a franchisee with BK’s Takeaway gives you the advantage of learning from our extensive industry experience and business expertise, to help you get started in your new venture. Not only will you receive on-going support from us, but you’ll also be part of a growing family of franchisees sharing similar goals and objectives. On-going marketing across major media as well as assistance with structured local area marketing programs. The first company-owned BK’s Takeaway launched in 1999 – since then, we have learned a lot! Our product knowledge is comprehensive in the takeaway food industry – we know: what our customers like to buy, what pricing is attractive to our customers, where to buy supplies, how to cook our food and set our menus, amongst many other things. BK’s Takeaway has worked hard to secure exclusive product buying programs with our suppliers, meaning we can achieve better gross profits for all of our stores and franchisees. 2. We have a strong regional brand and our customers LOVE us. Our customers love us because we sell great food at competitive prices. We also understand that many of our customers want something quick and ready-to-go, and we perfectly cater for them with a diverse takeaway menu! We pride ourselves as being the regular roadside restaurant for long-haul drivers and out of town visitors who travel through our regional locations. The locals have also become ‘regulars’ as they love our great customer service and diverse menu selection! 3. We offer hands on training and development so you hit the ground running! BK’s Takeaway franchisees are supported with comprehensive training and development in all aspects of their business – this means you’ll be able to launch your new business with confidence. Our training program is designed to ensure you understand all elements of the business, from the best methods of selling and displaying your products in-store and providing exceptional customer service, to managing stock and rostering staff. Our training program ensures you are able to deliver the same high standards of retail food service as the original BK’s Takeaway store. We at BK’s believe we can train anyone to work behind the counter but it takes different skills to be able to run a business. This is where we can help you fine-tune your management skills. Our dedicated trainers will teach you all there is to know about managing staff and record keeping procedures. We are also proactive with our training, and will re-train staff if we see a little extra help is needed – we love sharing the knowledge we have acquired from 20 years in the industry. Brendan Kingwill launched the first BK’s Takeaway store on the 11th of October 1999 in Trafalgar, Gippsland. 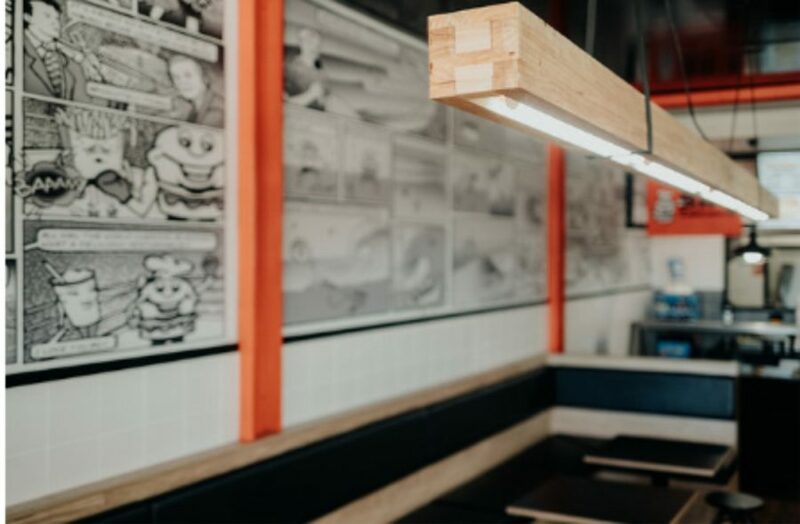 From humble beginnings, BK’s Takeaway has become one of the best known and loved takeaway food outlets in the Gippsland region. BK’s Takeaway opened its second store in October 2006 in Korumburra and third store in Heathcote in 2013 then Warragul in 2018. Not only is BK’s Takeaway well-known for its large selection of ready-to-go hot food, but our unusual and unique promotions and jingles have struck a chord with the locals. Have you got what it takes to be a BK’s Takeaway franchisee? The financial capacity to purchase the franchise and fund the start up period. Download the BK’s Takeaway information kit for more information by clicking here. If this sounds like an opportunity that you can’t miss then please complete the inquiry form below – one of our awesome and dedicated staff members will contact you for obligation free discussion.